I have another fun inspiration board for you today. This little gem is something I came up with for an upcoming collaboration with Sarah Kathleen Photography and Ever After Artistry & Design. I don't want to give too much away now (like the main concepts) because I know the final product will blow your mind. 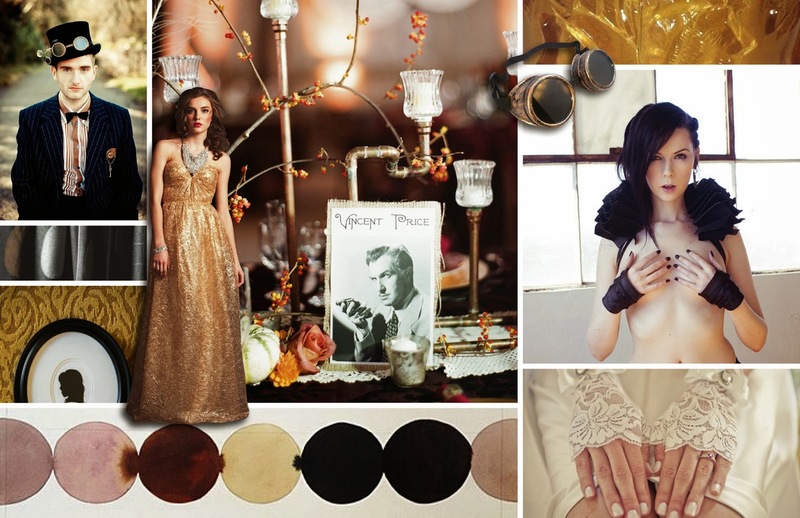 Just take a gander at our inspiration board and let your imagination wander... I know I am!